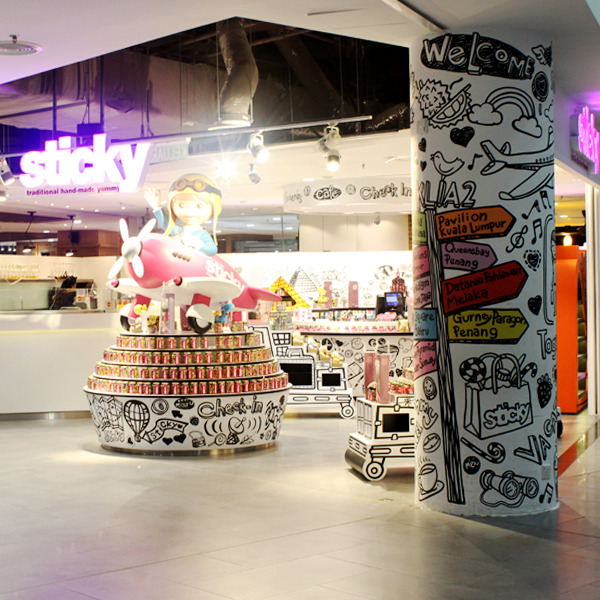 Sticky debuting in Malaysia, direct from the sun-and-convict drenched shores of Sydney, Australia, Sticky is the brainchild of talented, mildly interesting and internationally renowned Australian confectioner, David King. With disciples from Australia to Singapore, Malaysia, Hong Kong, Indonesia, the United States to Cambodia, Sticky's uniquely talented candy sculptors create some of the most exquisite confectionery ever seen, in a live show guaranteed to fascinate and delight your senses. Sticky can even customize sweets to your exact specifications. See your name, logo or message appear, as if by magic, right through the heart of your very own candy! Perfect for special occasions, events, corporate promotions or just for fun.